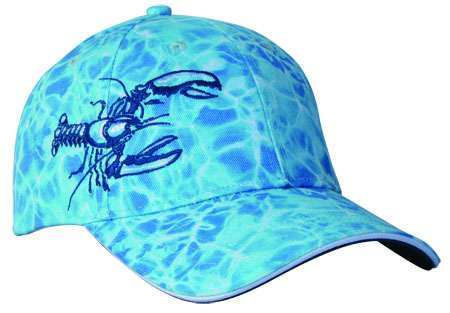 6-Panel OCEAN CAMO with Navy trim JUMBO LOBSTER Fishing Cap . 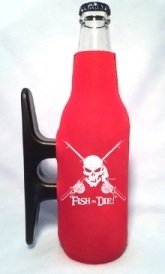 Embroidered 3-D Lobster graphic on front/side. 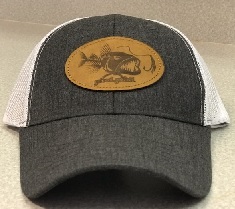 Comfortable, 100% cotton twill, Velco Closure with Get Reel…Get Fish! Outstanding Lobster Hat!